Silverado Funding LLC offers hard money loans for real estate investors. They have been in business since 2006. They work with investors of all experience levels. Rates range between 12% to 18% and they’ll lend up to 75% ARV. They have an A+ BBB Rating, and were rated 1 star based on 2 Freedommentor Reviews, and 5 stars based on 2 Google Reviews. 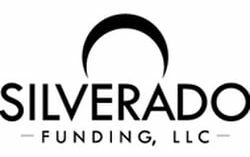 Work For Silverado Funding LLC? Claim This Page.